AWIEF is a not-for-profit economic empowerment organisation for all African women and girls. We are a Pan-African business networking, information and equal opportunity platform for women business owners and entrepreneurs, innovators, and social enterprises. AWIEF advocates womens equality and empowerment as drivers of development and strives to foster enhanced economic participation and opportunities for women to fast-track Africa’s transformation and inclusive sustainable growth. AWIEF connects emerging with established women entrepreneurs and works to equip young and next generation women entrepreneurs with the tools to succeed. We provide valuable business capacity development and skills support programmes, resources and connections. 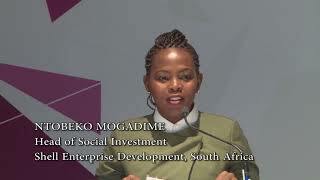 We facilitate and support Africa women-owned and women-led business start-ups, high growth and scale-ups. Now in it’s 5th year, the Annual AWIEF Conference and Exhibition is an international platform used to debate and discuss issues negatively impacting the economic empowerment and economic security of all African women and girls. 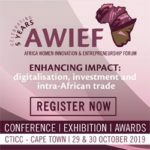 At the AWIEF Conference, each year, you learn, meet exemplary individuals and organisations, grow your network, promote your business as well as get inspired, motivated and empowered by outstanding and leading African women entrepreneurs, as they share their stories, experiences and perspectives.